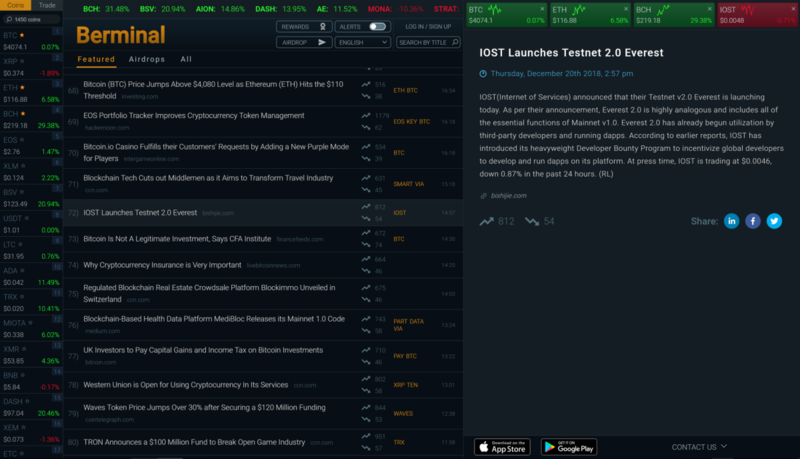 IOST is a next-generation, developer-friendly decentralized blockchain application platform dedicated to providing developers, entrepreneurs and enterprises with a platform to realize value through the establishment of a robust public chain ecosystem. 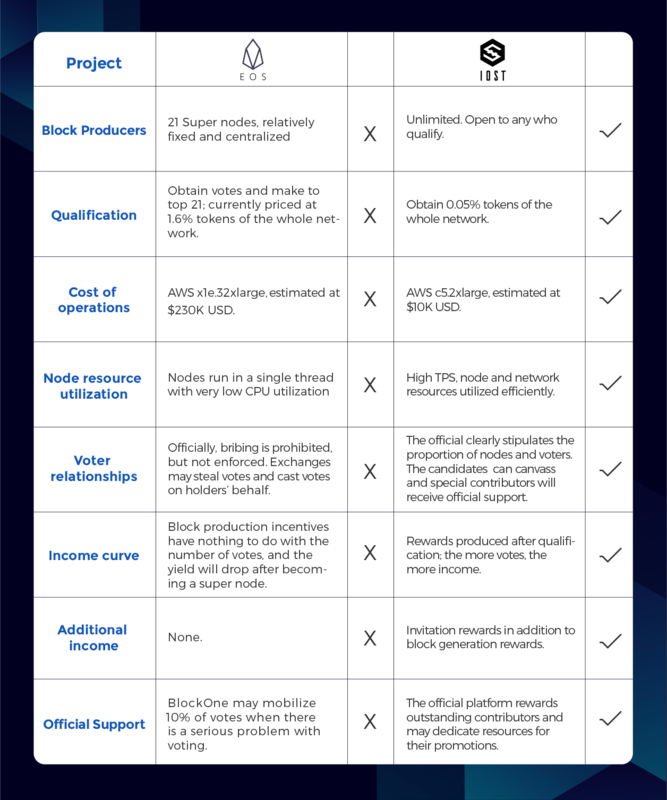 This document will focus on the detailed rules for IOST node applications and voting. 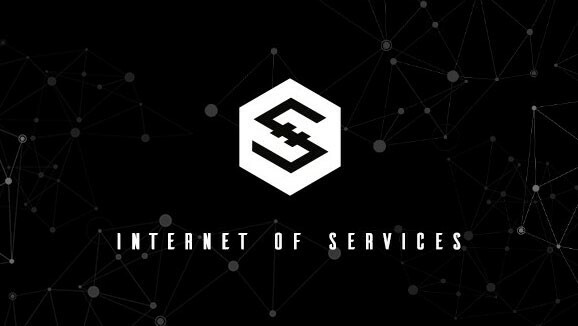 Individuals and organizations who want to host a node on the IOST network can find information clarifying the mechanisms of the IOST node application and election process to become a “Servi Node” below. We hope to activate and build community involvement by facilitating an engaging node election process for token holders that incentivizes their participation, voting and community contributions. Node applications can be made here. How to participate in the initial node elections? Submit a node candidate application form and qualify to participate in the election by meeting the minimum requirements. How to become a Servi Node? What are the benefits of becoming a Servi Node? Servi Node rewards. Servi Nodes get a 4% share of the total IOST circulation per annum. The more votes received, the more token rewards can be earned. Invitation rewards. After becoming a Servi Node, you can get 30% of fees incurred by the users you invite onto the network. This includes account creation, iRAM fees and iGAS usage. Assuming a total vote of 2.1 billion IOST, a formal node that receives 105 Million IOST (0.5% of the entire network) is expected to receive 42 Million IOST through block production rewards. Assuming that all votes received are from the node itself, the node’s ROI is around 40%. 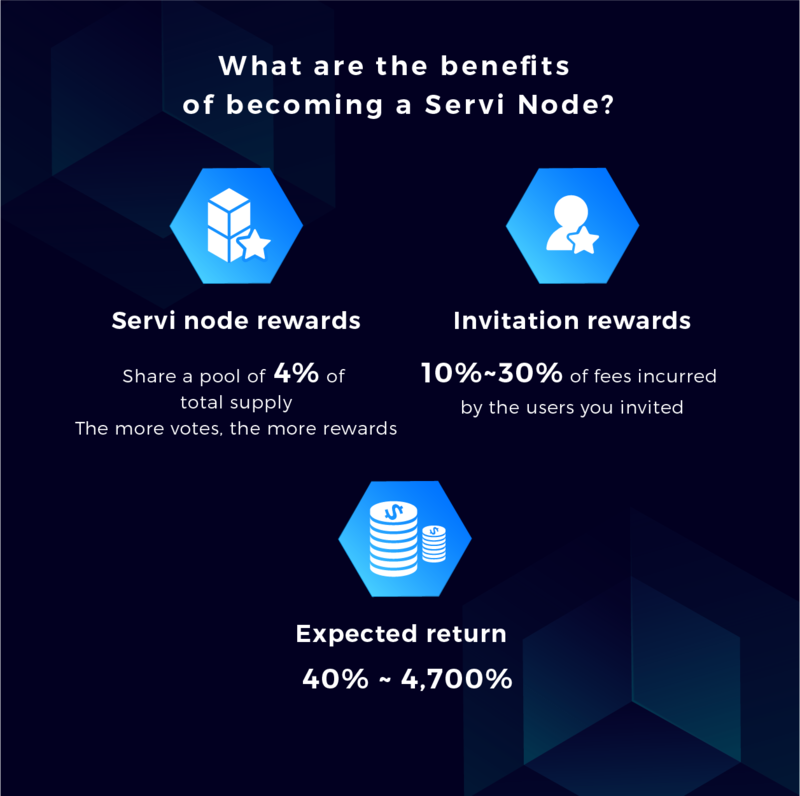 In reality, due to community voting and the network usage of invited users, the rewards for Servi Nodes can reach 47 times this amount(see user invitation reward section below for details). Applications open 21st December, 2018. The IOST ERC-20 token voting starts mid-January 2019 and lasts until Mainnet launch in February 2019. In February 2019, the IOST Mainnet will launch, applications will remain open and voting will begin using the IOST Mainnet token. To teams and individuals who aspire to become IOST Servi Nodes: start running for the election today, and gather 10.5M IOST votes to qualify. Maintain a good relationship with your voters so that your qualification and votes hold. Nodes that vote for themselves will receive all of their node’s block production rewards. If the Node is voted in by the community, the node will share 50% of the block production rewards distributed in proportion to the community votes. For those who make significant contributions to IOST’s development and/or awareness, the official IOST foundation will allocate certain marketing resources and support for their promotion. Anyone holding IOST may become a Voter. Voters may cast their IOST votes to individuals and teams that earned their approval and align with their vision for the IOST network. Before Mainnet launch, we will support the use of IOST ERC-20 tokens for voting. After Mainnet launch, Voters may redeem their ERC-20 Tokens as Mainnet tokens, and change or revoke their votes thereafter. IOST holders that do not vote with their ERC-20 tokens can exchange their tokens to Mainnet tokens via supporting exchanges. To encourage community members’ participation for Servi Node voting, Voters will receive a share of that Servi Node’s rewards. If the Node a Voter votes for is elected, that Voter can obtain a share of 50% of the Node’s reward. Voters who participate in the initial ERC-20 election process can stake tokens, cast votes and then generate a 25% annualized return on their staked tokens. This will run until Mainnet token swap has completed. Voting is open from mid-January 2019 up until Mainnet launch. Voters may cast votes in the initial elections with their deposited ERC-20 IOST Tokens. Definition: Any entity holding at least 1000 IOST to vote. Rights and duties: Participate in IOST elections by voting and receive reward share from Servi Nodes. Definition: Organizations or individuals who have submitted an application to qualify to be a Servi Node. Rights and duties: Contribute development and promotional resources to the IOST network. Gain votes from the community and become a Servi Node. Definition: Get 0.05% or more IOST votes of the entire network (approximately 10.5M, subject to decrease in future to boost decentralization). There is no fixed cap for the number of Servi Nodes in the IOST PoB consensus mechanism. Rights and duties: Produce and validate blocks, determined by the PoB consensus algorithm. Receive block production and user invitation rewards, where 50% of the block production award is shared with community voters. Based on the rewards model that includes block production and network fee sharing, there is no hard maximum on total rewards a node can earn. Servi Node rewards consist of two parts: block production rewards and network income share from inviting users. Block rewards are paid out from the Annual Block reward pool comprising of 2% token issuance of total IOST token amount + 2% of total IOST token amount distributed from the community ecosystem fund. Servi Nodes will therefore share a pool of 4% (840,000,000 IOST in the first year) with ½ based on blocks produced and ½ based on share of votes received. Ram purchased with IOST will be burnt to offset token issuance from the annual annual block reward pool. How does the IOST network compare to the degree of inflation on EOS and other networks? On the IOST network, iRAM is purchased from the IOST system. The fee paid by the user to purchase the iRAM will be burnt (destroyed). In addition, the cost of account creation will be burnt, which will reduce the IOST circulation. In the Bitcoin/Ethereum network, the user purchases resources in the form of paying the Tx fee/Gas to the miner, where the miners earn block rewards and thus increases the token supply. In the IOST network, when developing DApps, developers will purchase iRAM resources, and the more frequent iRAM is bought and sold, the more IOST fees will be destroyed, therefore reducing IOST circulation. EOS’s starting RAM resource is 64G, IOST’s starting iRAM resource is 128G, and as iRAM increases rate faster, there will be more storage resources for developers to buy and sell. That is, more IOST fees are destroyed, and more circulation will be reduced. EOS RAM trading fee is 1%, where IOST iRAM trading fee is 2%. EOS will destroy 1% handling fee of RAM, Where IOST destroys 2% iRAM fee + IOST network account fees. Therefore, the IOST network has a higher degree of deflation than EOS. Assume that the total number of votes for all node candidates is 10% of the total IOST circulation, 2.1 billion IOST. The digital currency market is currently in a bearish period. Current corresponding price is about $200,000. Based on average price in the first half of 2018, this equals about $2.75 million. For individual Servi Nodes, their rewards and ROI will be dependent on several factors including how much IOST tokens they personally stake versus how many votes they receive from the community, how many users they invite and on-board onto the IOST network and also general operating costs and resources they dedicate to promoting their node and contributing to the ecosystem. In order to encourage Servi Nodes to contribute in building the IOST ecosystem and increase users, invitation and fee rewards are paid to Servi Nodes based on the network usage of users who are invited to join the IOST network by that Servi Node. iGAS: Users can stake IOST to obtain iGAS. The Servi Node of the user receives 10% share when a user uses iGAS. iGAS rewards can be rented or sold to any user or developer. iRam: A 2% transaction fee is incurred when a user buys iRam. The Servi Node of the user receives 30% of the fee. Account creation. Users will pay a basic fee for creating an IOST account, and the Servi Node who invited this user will receive a 30% share. Based on similar blockchain network data, assuming an average of 100 transactions per second, if 50% of users come from the node invitation, they will generate 1,576,800,000 transactions/year. Assuming that the iGAS market price is estimated as 3 IOST each transaction, then all Servi Nodes will earn 473,040,000 IOST through iGAS rewards each year. Based on a total vote of 2.1 billion, a node that received 105 million votes is expected to pull 5% of users, and will receive iGAS rewards worth about 23,652,000 IOST. The digital currency market is currently in a bearish period. Current corresponding price is about $110,000, and the average price in the first half of 2018 is about $1.38 million. If a Node makes significant contributions to IOST’s development and marketing efforts, The IOST Foundation will provide all-round support for promotion and technology as well as support from collaborating channels including Berm Protocol (a decentralized content platform with 500k active users), and Berminal (a crypto news app, US Google Play Store news list Top 2 with 50k DAU) to promote the Node’s product and candidacy. The largest by market share decentralized exchange DDEX (the first decentralized exchange based on the Hydro protocol technology) on the Ethereum network will develop IOST’s decentralized exchanges and participate in node campaigns. The IOST Foundation will help it promote and get more votes. In addition, it will provide development support for its entire process and help its products get more users after the IOST Mainnet launch. Server costs: AWS c5.2xlarge server price is $ 0.34 / hour. Estimated at $2,978.4 a year. Storage costs: ST1 on AWS is $0.045/ GB-month, which will cost $2,764.8 a year. Bandwidth cost: Average AWS price of $0.055/GB, over one-year, a node is estimated to generate $103.2 of upstream data at a cost of $563.2. Estimated total cost: The cost of one year using an AWS server is estimated at $6,306. Taking into account the cost of operation, tax, maintenance and labor, the actual cost may be around $10,000/year. Registration opens December 21st, 2018. Applications can be made here. Successful applicants will be notified by email and then be listed and available to receive Token holder votes. Voting for candidate nodes start mid-January 2019 and lasts until Mainnet launch. This election will use the IOST ERC-20 token, and will allow automatic redemption of main net tokens after Mainnet launch in February. We invite all potential applicants to start preparing and apply for Candidate node status as soon as possible. Those who contribute the most, will receive the most rewards. We can’t wait to start building the IOST ecosystem together with you!